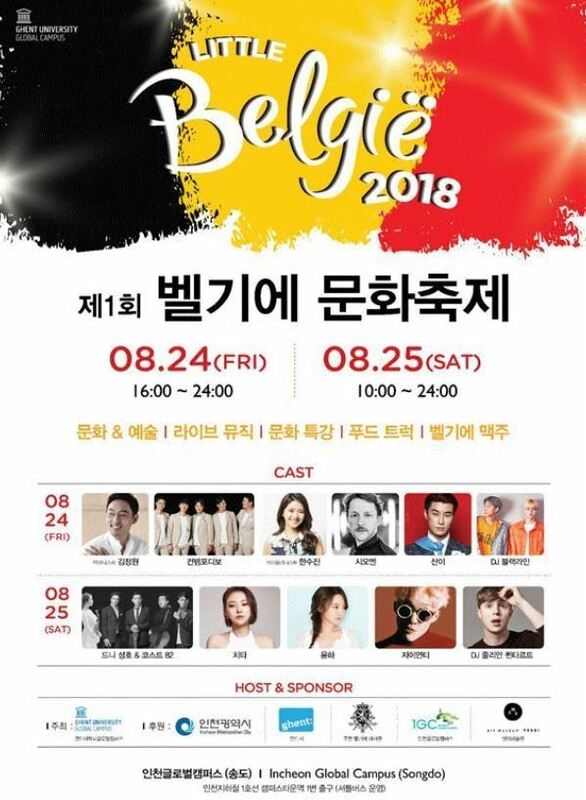 A Belgian culture festival will kick off at Ghent University Global Campus in Songdo, Incheon, later this month, organizers said Thursday. School officials said the festival, the first of its kind, will be held from Aug. 24 to 25 to promote cultural exchanges between the two countries. Various events including lectures, exhibitions, music and performances will be held so that visitors can experience Belgium‘s diverse culture,” said school acting president Han Tae-jun. The school expressed hope that the festival would grow into a major foreign cultural event in Incheon. The Belgian university opened its campus in Songdo in 2014 and three undergraduate programs including one on environmental engineering.